I was in 5th grade, that's when I first dreamt of becoming a therapist. Later in life, as I delved into my academic studies, I discovered my own reflection in some of the textbooks I read, I realized that my own suffering had something to do with my interest in helping others. 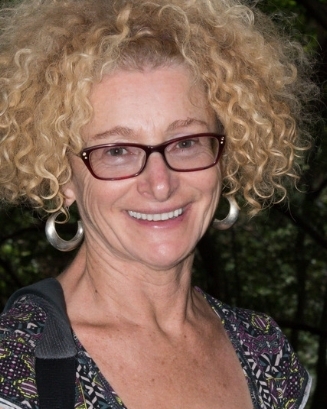 Lydia Rozental have lived, studied and practiced in different countries (including Romania, Israel, South Africa and Canada.) Her personal experiences with oppression and injustice paved the path into helping others find peace and integrity in their own lives. For the past thirty five years, Lydia has been cultivating her passion for helping others by providing counselling services for individuals, couples and families. She is fascinated by the mind-body-soul connection, and every day she learns how to create inner peace. M.A. degree in Developmental Psychology and Research from the University of Haifa. M.A. degree in Clinical Psychology from the University of Tel-Aviv. Clinician - in a psychiatric hospital as well as a maternity unit of a general hospital (1986 - 1987) – South Africa. Family Therapist, Workshop facilitator - clinical work from private practice (1987 - 1993) – South Africa. Women and Violence Mental Health worker and Facilitator of Groups (1994 - 1996). Coordinator and Clinical Supervisor of a sexual abuse centre (1996 - 2002). Faculty Staff at City University – teaching Group Therapy, Couple Therapy and Sexuality, Practicum and Thesis/Research classes (1998 - 2007) to M.A. students. Counsellor for an Employee Assistance Program (2002 to present). Clinician at Jewish Family Services (2003 – 2004). Clinician, Workshop Presenter, Consultant and Clinical Supervisor in private practice (2002 to present). 2006 - Appreciation award from the BC Association of Clinical Counsellors for contributions to the profession. 2004 - President’s award on Excellence in Teaching from City University. 2002 - Richmond School Board award on introducing Dry Grads in the high school. 1999 Richmond School Board award on introducing Odyssey of the Mind in the elementary school system.